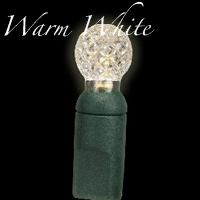 The G12 lens style is a “raspberry” round shape, approximately one-half inch in diameter. 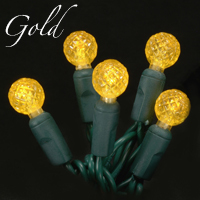 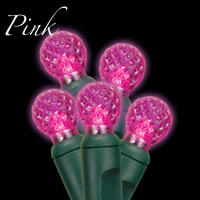 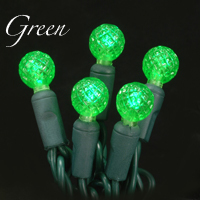 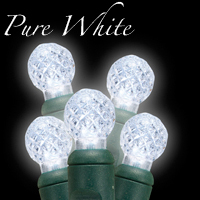 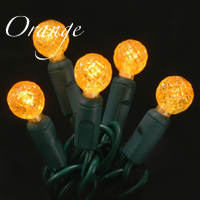 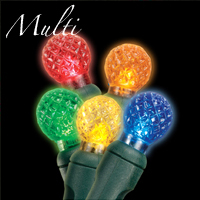 It provides a decorative alternative to the mini light style and is used primarily to decorate trees and other foliage. 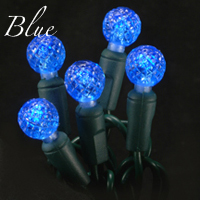 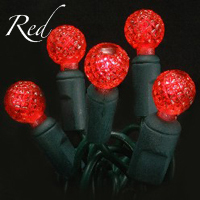 Its round shape provides the ability to insert “berries” into trees or plants or just enables a slightly different lighting effect than either the M5 or conical lens styles.